The term “commuter” first emerged in America, where in 1843 the Paterson and Hudson River Railroad offered passengers the opportunity to commute, or replace, their daily fares with a single payment for a season – or “commutation” – ticket. According to Iain Gately, it was “locomotivity” that heralded the age of commuting. The arrival of the railways in the 1830s meant that the dream of escaping the Dickensian squalor of industrial age cities became a reality. For the first time people could “live somewhere healthy and work where it was most profitable”. The London to Greenwich line was the first to draw most of its business from commuters. Opened in 1836, within eight years it was carrying more than two million passengers a year. And with commuting came new suburbs, with communities such as Surbiton, Bromley and Ealing springing up around railway stations. Suburban dwellings may have been dismissed by Ruskin as “gloomy rows of formalised minuteness”, but commuter suburbs proved immensely popular in America and Europe alike. In London they grew by 50% per decade between 1861 and 1891. 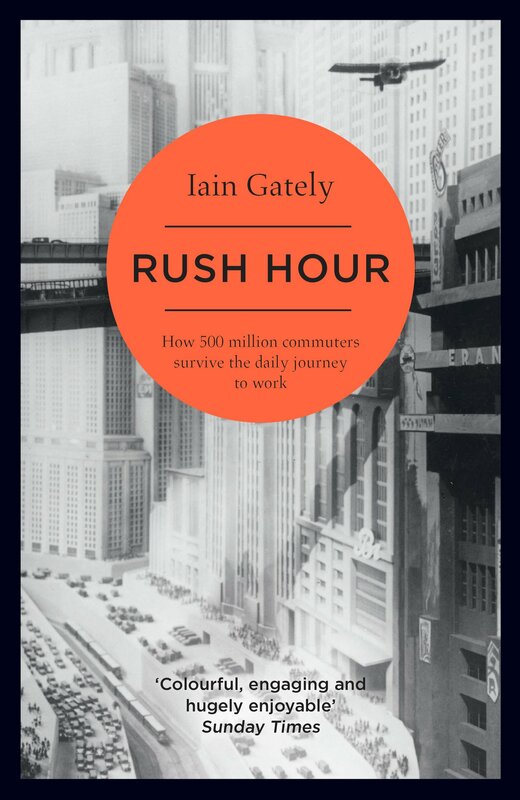 Rather like a commuter train service, Gately’s book passes through some well-travelled territory, but he makes the journey eminently worthwhile with many entertaining anecdotes and surprising facts. At one point he observes that early railway travel was so dangerous that ticket offices sold life insurance as well as tickets. Elsewhere he notes that the first “traffic light” was installed at the junction of Great George Street and Bridge Street, London, in 1868. It had red and green gas lamps but exploded within a month, fatally injuring the unfortunate policeman who was operating it. The streets of the Big Smoke were busy and indeed dangerous. But, according to Gately, in present-day India rush-hours are enlivened by no less than 48 types of road transport, from rickshaws and 4x4s to camels and elephants. 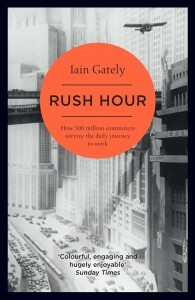 In this eclectic survey of the past, present and future of commuting, Gately covers everything from the Tokyo salarymen who ogle schoolgirls on public transport (they are so common that women-only carriages have been introduced) and road rage (apparently the Victorians legislated against it and now American psychiatrists have renamed it Intermittent Explosive Disorder), to driverless cars and telecommuting. A commuter himself, Gately rejects the common view of his subject as “a kind of purgatory, which lies between the poles of production and recreation that cap our days”. Instead he celebrates commuting, seeing this “clockwork wanderlust” as being rooted in our evolutionary origins as hunter-gatherers. Commuting, he concludes, is “a positive, perhaps even natural, activity”.